I’m planning on stopping teaching this spring after over 25 years – I will be almost 65. The reasons are mixed and complicated – physical health and burn-out are the two worst – the latter resulting in depression and boredom. Even though I’m not ‘retired’ yet, when at home I’ve essentially withdrawn to my room. I work on my computer, but I also do everything else on it from e-mails, watching movies, reading news, and doing research. I come out to go to school, and go right back in when I come home. Recently I started searching on line for advice about retirement, boredom and depression. On one website I was reading I came across a definition for the word boredom. It was derived by a group of psychiatrists who had polled groups of retirees all reporting problems with being bored. The definition (and I’m paraphrasing) is that boredom is “a lack of participating in anything meaningful in one’s life”. Yes, this made sense, and even explained why, for the last year, I’ve had waves of intense boredom towards the end of my teaching day, making me feel even more miserable and guilty. I’ve never, ever been bored previously while teaching – not while teaching children, not while teaching adults. But for whatever reason, the connection I have always felt doing this work has been slowly dissipating. Over the past 1-2 years as I watched myself slip into a behavior of withdrawal, I’ve tried many things – focusing on my own nutrition was one. I researched dozens of videos and books on nutrients and micro-nutrients and have changed the way I have eat about 6 times. I’ve tried to reprogram my brain with affirmations and thinking positive thoughts. I took a course. I mentored a friend just starting a teaching position. Also, my doctor prescribed different medications for depression – of course you have reactions to those so you get another to help with that - for a while I was on four of these meds. As of today I’ve cut out all but one (my family has a history of depression so I’m loathe to drop out the last one). Nevertheless, I’m still withdrawing even more and more. The holidays were – awful. I’ve been reading all the descriptions of other people’s retirement experiences and can’t say I’m comforted to find my behavior is typical and a bit of a cliché. Swell. I’ve also read a lot of advice and helpful hints and lists and just reading them has made me feel even more overwhelmed. Do this – plan that. And though I read something and know it sounds as if it might help, it’s all I can do to cook a meal, let alone exercise, take on a new hobby or start volunteering. And while I don’t want to wallow in self-pity, reading this advice and then pushing out from where I am are two very different things. I started thinking that I would have liked to have heard someone say instead, “Do one tiny thing.” I think I could do that – just something very small. Since I could not find anyone who was saying that, I’m saying it. I found this website, and writing this comment is my one tiny thing. Tiny in effort perhaps, but huge in that I am extremely introverted and have not confided to anyone the extent to my unhappiness. I read the requests for advice on this site – sorry. I have nothing pithy or useful to contribute. Just a story with no other intention than just to say – this is where I am. After a lifetime of dealing with people and situations that I didn't particularly like, be it workplace, school, or anything else, I rejoice that my time and will is finally my own and I don't have to deal with egos anymore in regard to anything I do or do not want. It's my own fault if I get bored. well, I just celebrate not being obligated to do a darn thing I don't feel like doing, and not being accountable to anyone else for whatever I do NOT or whatever I actually do. That is the main tiny thing I do. I read your letter with interest. I can sympathise with you because that was me at one time. My solution was to join a few snail mail pen friend clubs. Nothing pulls you out of your depression faster than finding one or two letters in your mail box. It is such a joy. Then of course you have to sit down and talk to your friends by letter. The sun always seems a little brighter knowing you are surrounded by friends all over the world. There is always someone to talk to. It takes time to build up your worldly friends, but oh so worth it. I have friends of all ages now and no longer feel alone and depressed. ust sign up to some snail mail clubs and build your friends up. It takes a little while but so rewarding. Boy can I relate to J.C.'s post! I also am thinking of retirement after the school year is over after 28 years as a guidance counselor. The job has become very difficult with all of the problems kids face today and lack of support from parents who are trying to meet their own needs. I go home drained every day and then stay in the house doing what needs to be done and then an early bedtime only to do it all over again the next day. Living in upstate New York with our massive amounts of snow and cold doesn't help. Even though the job is taxing, I do love the kids. I'm wondering if retiring would be a mistake as I have no set plan. I know I don't want to substitute sitting in the house all day. I am single and my kids are far away. Am thinking about the only way I should retire is if I make plans to relocate to an over 55 retirement community where there are many built-in activities such as The Villages in Florida. However, having lived no where but my small hometown makes relocation a scary enterprise, especially on my own. Then again, I think if I keep working, nothing will ever change for the better. Tough decisions we retirees (or would-be retirees) need to make! You could be overwhelmed by too many thoughts you are creating. Everyone has a different "One Tiny Thing" that makes a difference for them. Don't be so hard on yourself, make a list of the things you enjoy or did enjoy before feeling lost. Do one of those enjoyable things once a week until it because a habit and you look forward to it. I've only been retired a few years and I see I need to make changes myself. Feeling bored is your mind/body saying something needs to change. You don't need to immediately find what that is but I find writing out the things I want to accomplish each day helps (to create a healthier routine). In your list include little indulgences or fun things that you look forward to. That could be a walk in a park, a bowl of ice cream, putting on your favorite music and dance around the house. Take your time to find what your "One Tiny Thing" is that makes you happy. Sending you a BIG HUG!!! My cousin who is a retired Social Worker said that for three months after retirement he was so tired, he spent most of his time sleeping. Your behaviour is typical of burnout and exhaustion. I wouldn't stress about it now. If you still feel this way 6 months after retiring, then you can ask for help, but even then, I wouldn't worry. I also knew another elderly lady who lived alone and died in her 90's. She said she always set herself 14 things to do each day. Making meals was one (or three) of them, as was tidying a shelf, shopping for groceries, reading 2 chapters of a book etc. As she got older, they got simpler, but there were always 14. She did develop osteoporosis, and became quite frail and a neighbour kept an eye on her, but she never lost her independence and her mind was as sharp as a tack to the end. We are at the end of a phase, not the end of the world. Retirement/and aging are big life changers!! I've always prided myself in finding the next "step" in different stages of my life, but I must say . . this step is probably the hardest. I don't know exactly what I thought was coming at this age. .. I guess I thought my kids would have time for me and grandchildren would fill in the cracks, but that doesn't happen very often, as I have talked to others. The same rule that applied to me in my earlier years apply now. I am responsible for my own happiness. Right now, happiness is fleeting. I chase it with a net like I'm hunting butterflies!! I decided eight months ago to offer a bedroom and bath to a traveling nurse for extra income and a sharing of life. She was so easy. . .but not requiring a friend or sharing. It's been fine but her contract runs out at the end of the month. I won't do this again. . . at least not for awhile. Making friends is my down side. My friends were made through work. Now everyone has scattered. PURPOSE. . . that darn thing that keeps us feeling we should be taking space. It's hard. I give everyone a hug and say we are not alone. I retired from teaching four years ago and my wife and I moved to my late mother-in-law's house in a rural town, having lived in or near cities for most of our lives. The move itself took my mind off being bored. I managed to find some private students and helped out for free at a local college once a week. But now I only have a few students and boredom has set in. One thing I do is to go walking everyday and enjoy nature and natural beauty where possible. Pop into the local coffee shops. Also enjoy reading poetry, which I keep telling myself I should start writing. One tiny thing I do is learning a foreign language, Japanese. It's a challenge. Perhaps not so tiny. Oh, I also enjoy going for a drive here and there. Hope there are some tiny, not so boring things, in my response. My one tiny thing was realizing that my retirement dysphoria was that I missed my old job and realized I wanted my old job back. I also regretted retiring. That sounds like more than one tiny thing, but the one tiny thing was the realization. Then I gave myself time to admit that was what was wrong. I have a hobby which literally saved me and that is quilting. And now 5 years later, when I am in a dyphoric mood, sitting at the sewing machine and stitching makes me feel better. As someone who has suffered from depression which worsened with retirement, may I suggest you see a therapist for help? Although medication will help you, the combination of meds with therapy is a proven strategy for some people in overcoming depression. Your depression did not start instantly and won't stop instantly, but hopefully you will find the strength to begin to do some things to make your life more purposeful and interesting. It is not healthy for you to be alone all the time, especially on the computer. I am not a mental health professional, just sharing my opinion. So if you can do one tiny thing, pick up the phone and call a therapist you trust and make an appointment. I applaud all the things you have done on your own to help yourself. That shows how much fight you have in you. Now, you just need a little shove in the right direction. Hoping and praying for you. The search for meaning in our lives is probably the most important search we can have. Strange how we usually have to hit our depths in order to find it. When things are moving comfortably along we don't even think of it. But usually when we hit this time of life we wonder why we are here, what we are meant to do here, and where do we go from here. Is this all there is ? ?...is the big question. Once we know that we can't answer this without contacting the higher consciousness/God, we have made a giant step. But there is a catch, We have to have a complete 100 percent trust in God the Universal Consciousness. Then we can ask and receive what we most want. Oprah Winfrey said her whole life changed when she asked, "Whatever skills I have, use me, God." The clue to your problem is in your own words: "I am extremely introverted and have not confided to anyone the extent to my unhappiness." Find someone, a friend or professional, who is willing to discuss this and suggest a solution. My own suggestion, always, is to find someone who needs your help. Not hard do do except it means crawling out of your comfortable shell for a change and considering others. There are so many people in this world -- and in your general area -- who long to have the comforts you enjoy. Can you share those comforts? Can you share the spare time those comforts give you? Or will you stay in your shell and be miserable? Shellfish or selfish? Only you can decide. Bored or in mental fog? It is difficult, nay almost impossible, to determine the state of one's own mental health. Please seek professional help and take some steps to see if boredom is caused not by lack of interest but by mental physical problems. My one tiny thing is GIVE IT TIME. It's a process, and for me it took almost three years to get "there", ie. happy in retirement. It takes TIME to get used to not working and find a new routine. Realize that!! And give yourself a break. Be kind to yourself. Explore all the possibilities but in the meantime give yourself permission to feel bored, depressed or disoriented. Heck- it's a big life change! I feel your pain. I had an AWFUL first year of retirement (5 years ago). Everyone said, volunteer, get a part-time job. Well, duh! as if I couldn't figure that out for myself. I spent all day in front of the computer, brushing up my resume, getting my references in order, applying for jobs. I finally found a part-time job in a day care which was posted as "after school teacher/counselor for grades 1 through 6 only to find out I would be working also with really small children and having to clean toilets! I found Wendy's group after a year and half and boy did it help. I love your idea of doing one tiny thing. That's all you have to do. You don't have to listen to advice. I find advice to be judgmental. 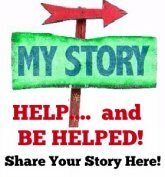 Hearing others' stories was what helped me. There is not one tiny thing that fits all retirements to end impending boredom. Heck, some folks don't get bored at all -- they walk out that retirement door and never look back. We are all individuals and what helps one person, doesn't even touch the next. However, I hope that many retirees will comment on this page. WHAT ONE THING WOULD YOU RECOMMEND TO HELP SOMEONE THROUGH THE RETIREMENT TRANSITION? BOREDOM, LACK OF PURPOSE, IS THE KEY. I will post mine but need to think about my ONE TINY THING!